Many people believe that the breath test is an accurate method of determining the amount of alcohol in a person's blood. The truth is that the Intox EC/IR II (the breath test machine used in Maryland) is far from accurate and as currently used is fraught with error which can lead to false high readings that are significantly higher than a person's true blood alcohol content at the time of the test or at the time of operation based upon a number of variables not taken into account by the machine. Prior to deciding whether or not you take the test, the arresting officer must go over a form that outlines what your rights are regarding the test. Breath testing is based upon the principal that there is a direct relationship between the amount of alcohol in a person's expired air sample and the amount of alcohol in the person's blood. All breath testing equipment currently used in the United States assumes this ratio to be 2100 to 1. In other words; the amount of alcohol in one milliliter of our blood when consuming alcohol is 2100 times greater than the amount of alcohol found in 1 cubic centimeter of our expired air sample. According to the theory, if one took 2100 cubic centimeters of our deep lung air and analyzed the amount of alcohol in that sample, the amount of alcohol in that sample would be equal to the amount of alcohol in one milliliter of our blood. Consequently, the machines are calibrated on the assumption that everyone has a 2100 to 1 ratio. However, not everyone has a 2100 breath to blood ratio. In fact, recent research shows this ratio to vary from 990 to 1 to 3005 to 1. If a person has a ratio lower than 2100 to 1 then the corresponding breath test result will be artificially high. On the other hand, if a person’s ratio is higher than 2100 to 1, then a person’s breath test sample will be artificially low. For example, if a person took a breath test and produced a .08 and had a breath to blood partition ratio of 1000 to 1, the persons true blood alcohol content would be .04. Because the machine does not have the capability to determine what a person's actual ratio is, it has no way of detecting the error it has made. Moreover, a person's breath to blood partition ratio varies from person to person and even varies within the person over time, making it almost impossible to classify the breath tests results as accurate. In the absorptive phase, the average mean for a healthy white male is 1776 to 1. Through the use of statistical analysis this translates into 75% of the people submitting to the test being overestimated and 25% being underestimated based upon this factor alone. The absorptive phase can last up to 5 hours after a person’s last drink on a full stomach and 2 on an empty stomach. A person's breathing technique (the way a person blows into a breath testing machine) will affect the accuracy of the reading produced on the machine. 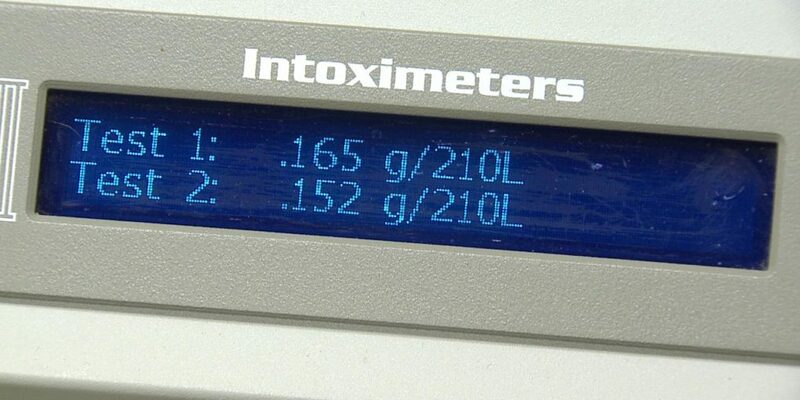 To produce a .08 on a Intox EC/IR II, the machine actually detects less than 1 millionth of a fluid ounce of alcohol in the breath sample. This amount is smaller than a pin head. If a person blows into the machine for a long period over 10 seconds, the resulting reading can be higher than the person's actual true blood alcohol content by to 150%. In a recent lecture at Harvard University, Dr. Michael Hlastala of the University of Washington Department of Medicine confirmed that breathing technique can significantly impact on a person's true BAC. Many of today's breath testing equipment rely on infrared analysis to determine how much alcohol is in a person's expired breath sample. A major flaw in the analysis is that many of these instruments are non-specific for alcohol. That is, they are not designed to detect the molecule of ethyl alcohol, but rather only a part of that molecule - the methyl group. These machines are based on the Baer-Lambert theory which states that all organic substances absorb infrared energy at different wave lengths. Alcohol absorbs at over 8 wave lengths however, the Intox EC/IR II currently being used only test at two wave lengths 3.39 and 3.48 microns. This creates a potential problem because there are several other compounds or substances that absorb at these wave lengths that may be present in a person's air sample. When these other substances are present, the machines read them as being alcohol molecules when in fact they are not. This can lead to a situation where a person is charged with DWI based upon a breath test when in fact he has no alcohol at all in his blood. One study conducted recently revealed a case where a cabinet maker produced a reading of .24 when a simultaneous blood test showed that he had no alcohol in his blood. The reading was obviously attributable to the cabinet maker's inhalation of chemicals contained in the paint he was applying which have a similar chemical structure of alcohol. The temperature of the person's breath sample is also of importance. If the temperature of a person's breath sample is 1 degree above 34º C, then the person's reading will be about 7% higher than the person's true BAC. Temperature is an important variable that should be measured and controlled when evaluating the accuracy of any breath test however; to date no machine has been designed to make sure the subject's breath sample is of the proper temperature. 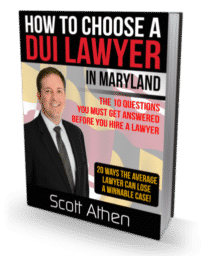 Complete the FREE Maryland DUI Evaluation and Scott will contact you to discuss your case. While some law firms substitute attorneys (imagine walking into court to see someone that you have never met there to represent you!) 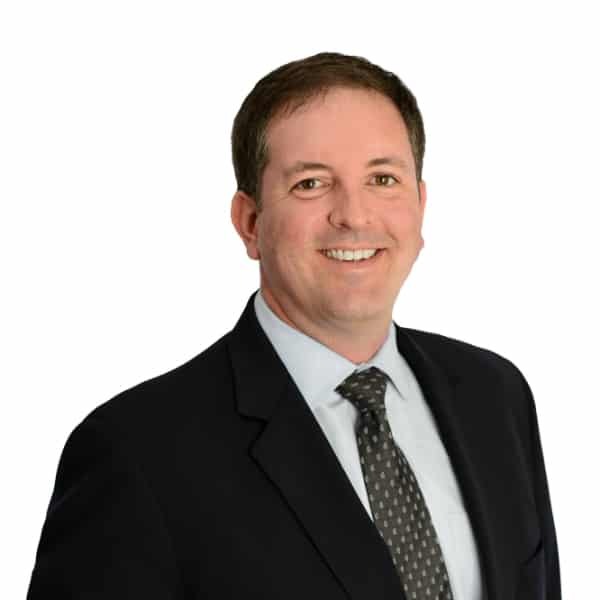 when you hire Scott Athen to represent you in court, you get Scott Athen!